The staff at Ephraim Shores and the Second Story Restaurant wants to thank you for making us your favorite Door County, Wisconsin, resort in 2014. The rapid onset of winter has us planning ahead already for next season, but not before we have some gifts for you this holiday season. To get your holiday season started on the right foot, we will give away sweet gifts during Thanksgiving week to two of our lucky list members. 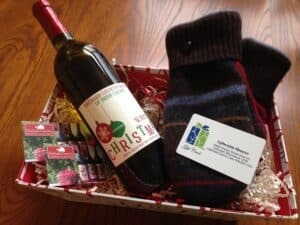 A gift basket will include two wine tour tickets, a $25 gift card for Ephraim Shores, White Christmas wine and wool mittens. 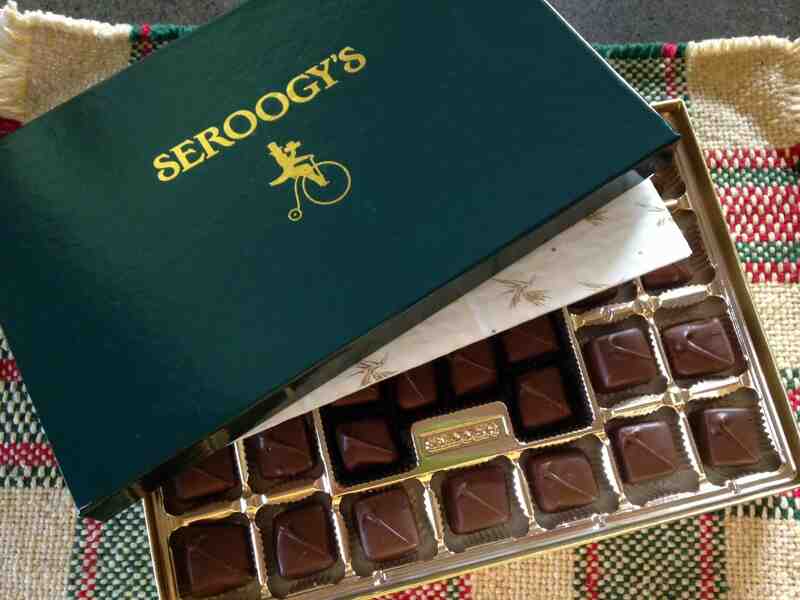 The second gift is a box of Seroogy’s caramels. If you’ve never tried Seroogy’s caramels, you’re in for a real treat. 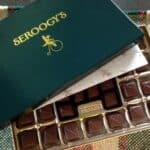 Made by hand in the family-run business’s De Pere, Wisconsin, store, Seroogy’s candies have been a holiday favorite in Northeastern Wisconsin for generations. Watch for an announcement when our online reservation system opens shortly after the holidays for the 2015 season. We’ll have updated room rates posted soon, and you will be able to book your Door County resort accommodations at Ephraim Shores using our online reservation system at http://ephraimshores.com/. This also is a perfect time to buy an Ephraim Shores gift certificate for a holiday gift. 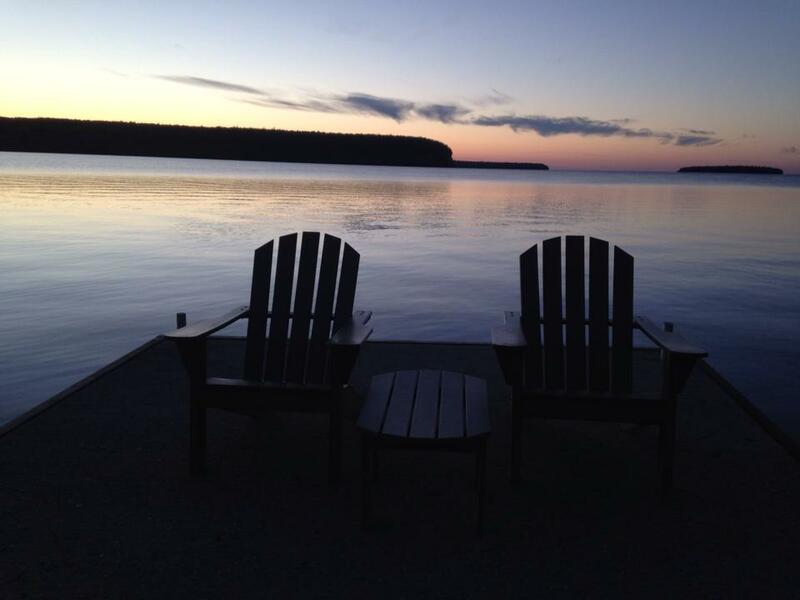 Opening day for Ephraim Shores will be Friday, May 1, 2015, just in time for the Door County Half Marathon weekend. Registration for the 2015 Door County Half Marathon and Nicolet Bay 5K is already open. Since the event fills up months ahead of time, you’ll want to register as soon as possible to reserve your spot. The 2015 Door County Half Marathon will take place Saturday, May 2, on a certified road course in nearby Peninsula State Park. To sign up for the race, go to http://doorcountyhalfmarathon.com/.